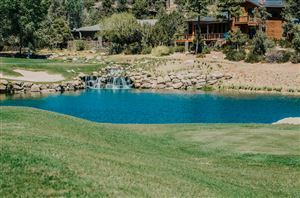 Rim Country Real Estate is a real estate company serving the city of Payson, including the private residential communities of Chaparral Pines and the Rim Club. Rim Country offers two locations to serve our clients in Payson. Our sales team at Chaparral Pines have an average of 10+ years serving the residents of this community as well as our sister community of The Rim Golf Club. The sales team at Rim Country Real Estate was involved in over 66% of the sales in the community during 2012 and we continue to be the leader in experience and knowledge in these two exclusive communities. We are the only real estate company that is located on site inside the guarded entry of the exclusive golf community of Chaparral Pines. Our sales office is adjacent to the putting green and just steps from our beautiful club house, golf shop and driving range. Our team can also be helpful with new construction and information on available homesites if you are looking to build your dream home. We are available 7 days a week at 928-474-1222. Jennifer is excited to be back as our Designated Broker and Director of Sales. She brings over 25 years of real estate experience previously in the Scottsdale and Paradise Valley areas and has been involved at Chaparral Pines, The Rim Golf Club and in the Payson area since 2002. She is focused on the success of our sales team and strives to make Rim Country Real Estate a name that is synonymous with professionalism and integrity in our community. She has an extensive background in new and resale homes, land, bank owned properties and short sales as well. Jennifer is involved in our local real estate board as well having served as past Director, Secretary, 1st Vice President and she now serves as the President Elect of the Central Arizona Board of REALTORS for 2014. At a state and local level she remains involved with the Arizona and National Assoc of REALTORS attending conferences and legislative meetings statewide and nationally each year in order to keep apprised of new educational opportunities and legislation and trends that would adversely affect the rights of private property owners. Bill, a native of Canada, is a former President/CEO of a publishing division of a Fortune 500 Company. He has been a Payson resident for 14 years and has been active in real estate for nine years. He has served on the Board of Directors of the Central Arizona Board of Realtors and the Chaparral Pines Homeowners Association. Mike moved to Chaparral Pines after 30 accomplished years in the contract management services industry. He and his wife, Sandy, have a son and daughter and 4 grandchildren, and Mike and Sandy have lived in Arizona and Southern California. In 2000 they moved to the beautiful community of Chaparral Pines permanently. A graduate of Arizona State University, Mike is a results-oriented sales/marketing professional with an extensive career in sales and sales management. For over 10 years he has provided his . many real estate clients with an unparalleled level of commitment and has achieved sales in excess of $40,000,000 since 2003 in Chaparral Pines and the Rim Club. He has also assured that the purchasing, selling and building process is an enjoyable and successful experience for his many clients. Mike continues to serve his clientele in a friendly, enthusiastic and professional manner. Our Rim Golf Club office is located at 2101 E. Rim Club Drive and can be reached by phone at 928-978-2158. A ”Hoosier” born and raised, Butch moved to Scottsdale in 1978 strictly for the Arizona Climate. He became a Realtor in 1981 and an Associate Broker in 1983. He focused on selling mostly large tracts of land in the 80’s in Scottsdale and the greater Phoenix- Metro area. In 1990 Butch became the Designated Broker and Sales manager for Rio Verde Devl., a delightful golf course community north of Fountain Hills. A solid and extremely successful six years of managing ten sales people and teaching how to sell golf course “real estate” earned Butch the position as the original “on-site” Sales Person at The Rim Golf Club in Payson, AZ. In 5 months Butch and The Rim Golf Club sold $16 million dollars in Lot reservations. Having ten years experience as a Designated Broker, Butch is now enjoying the benefits of again selling and not managing. Having personally sold in excess of 140 million dollars of Arizona real estate, Butch will gladly assist you with your real estate needs….Whether selling or Buying, his 32 year career of knowledge and experience will be a terrific benefit to you. Jan is a native of Arizona and recently moved to Payson from Bisbee AZ where she lived for over twenty years. She was fortunate to work for corporations in Real Estate and Healthcare where she was able to put her finance and computer skills to work. Jan recently worked for a major defense contractor in flight operations. Wanting to live close to her children and 7 grandchildren in the Phoenix area but escape the heat and traffic, Jan zeroed in on Payson as the perfect place to live. Jan realized she could help other people fulfill their dreams in finding the perfect place to live as well. Our branch office is located in the heart of Payson on Hwy 260 just east of Hwy 87 at 600 E Hwy 260 Suite #11. We offer a seasoned sales team that is familiar in the areas of Payson, Pine, Strawberry, Christopher Creek, Kohls Ranch and other outlying areas. Our Payson team is available 7 days a week at 928-474-3412. Lynnie is a professional real estate agent who brings numerous years of successful business experience including owning and operating stores and other businesses in the Minneapolis and Los Angeles areas, as well as real estate experience specific to the Payson area. Since she has been an early resident of the Payson, Christopher Creek areas from the age of 13, she brings a uniquely comprehensive knowledge of the historical market. She is an owner/builder of numerous properties in the Jerome, Tubac and Payson areas which include Chaparral Pines, the Rim Club and a working cattle ranch near Payson. She became licensed as a real estate agent in 2002 and her vast experience of building and design makes her a competent advocate for any buyer or seller. I began my real estate career in Payson in 1986. Real Estate is what I do! I have sold $200 million in property in the Payson area during my career….. my specialty is “Payson real estate”. I am committed to assisting clients in accomplishing their real estate goals whether buying, selling, investing or developing. I am pleased to be working closely with my partner Lynnie Raichert. She is honest, friendly and brings to the table a great work ethic and years of experience in new home construction as well as selling resale properties and land. Some of my specialties in real estate include a vast knowledge of home design and features that appeal to the current market, land use, subdivision marketing, energy efficiency and experience in recommending locations and floor plans to enhance the highest resale value for development projects. My personal strategy and goal for my business is to provide service, care and understanding with a sincere desire to be successful in my efforts to service my clients.